We all knew that Woody Jackson was composing that massive Red Dead Redemption 2 soundtrack. (He’s the same mind that brought us the powerful score to the first Red Dead Redemption.) Now, Rockstar has offered more information on the many ultra talented hands who provided musical support throughout the game. The list makes clear why RDR2’s soundtrack is one of the best to come from Rockstar. Keep in mind, there were over 110 musicians contributing and these are only a few of the people who appeared. As a reminder, every song for both the score and soundtrack were created exclusively for RDR2. This update on the soundtrack also included information on its producer. 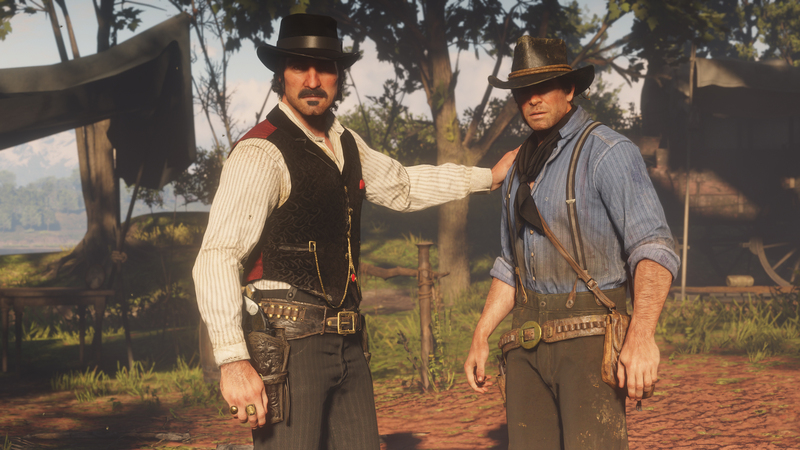 Grammy Award-winner Daniel Lanois produced all of the vocal tracks in RDR2. He also acted as a produced for Bob Dylan, Neil Young, Willie Nelson, and many others during his career. Be sure to check out our review of RDR2, where you can see why the game needed such a large number of hands on deck for its music. How has everyone else been feeling about the music within RDR2 during their sick days? Is it scratching that Western itch?